After breakfast at approx 7.30am, you will continue by Camel for another full day. 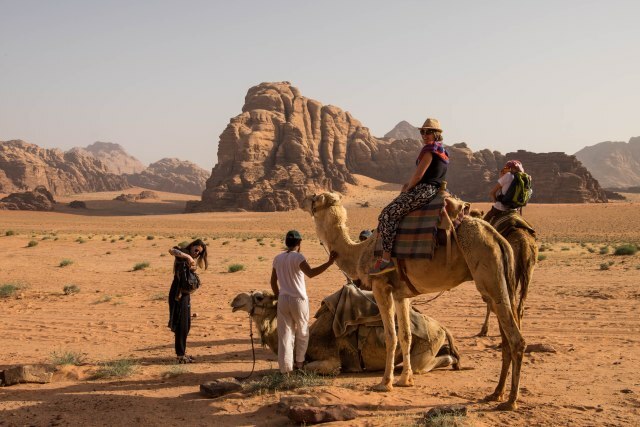 This day will take you away from the more frequented areas of Wadi Rum into the quieter areas of desert. In the morning after breakfast at approximately 7.30am we will return to Rum village by Jeep for your onward journey. Usually arriving by 8.30am. This Jeep transfer is included in the package price.